Two women at the helm of a new initiative at Lincoln Financial Network tackle the boys club image attached to the financial services industry. Karen DeRose (left) and Nicole Spinelli of Lincoln Financial run the company’s WISE program. While the financial services industry has historically been known as a male-dominated field, that’s slowly starting to change. ThinkAdvisor sat down with two women at the helm of a new women’s initiative at Lincoln Financial Network to hear how they are working hard to tackle the boy’s club image attached to the financial services industry. 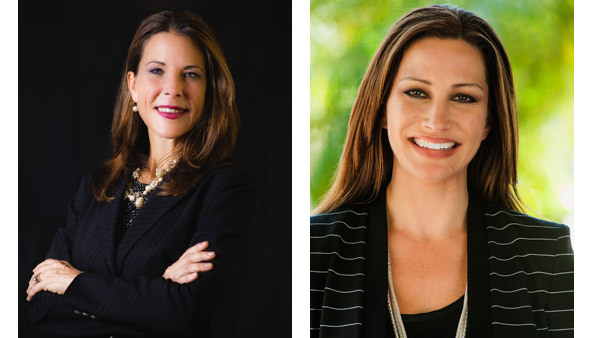 While the financial services industry has historically been a male-dominated field, Nicole Spinelli and Karen DeRose want to inspire women to pursue opportunities within financial services to increase the overall number of female advisors, as well as support women already in the industry, through Lincoln Financial’s women’s initiative, WISE, or Women Inspiring, Supporting, and Educating. WISE began as a grassroots initiative among Lincoln Financial’s top female advisors two years ago and held its first meeting in early 2015. Spinelli, who was appointed as director of the WISE group in February, has a long history of supporting women in the industry. Prior to joining Lincoln Financial, she spent 14 years at Raymond James’ Network of Women Advisors. Right now, approximately 14% of Lincoln Financial Network’s advisors are female. Recent data on female millennials in the financial services industry shows how unhappy young women are in the industry. A recent study by PwC finds that only a third (35%) of the 596 female millennials in financial services surveyed said they feel that they could rise to senior levels within their current organization – half the proportion of men working within financial services, according to PwC. In fact, the number one reason why female millennials in the financial services industry left their last job was because they saw no opportunities for career progression. The study also found that 61% of female millennials in financial services say their employer isn’t doing enough to encourage diversity, and 73% say firms talk about diversity, but opportunities are not equal for all. Half believe promotion is biased toward men. “The first thing that I would do is find myself or align myself with a good mentor,” DeRose said. DeRose, who started out in the selling insurance with her father, found a mentor when after three years she decided to switch from insurance to planning. And now she herself is mentor.